I am happy to announce that I now officially host my own domain! 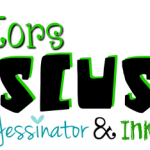 I switched to custom domain from blogspot a couple days ago. The blogspot.com address should forward you to auntiespinellireads.com eventually, but right now it is still in the process of switching. This is why you can’t see my GFC widget. It can only be seen from auntiespinellireads.com from now on. I’d really appreciate the input to help me figure it out! Also, I’d love feedback on the design…anything you would change? Any ideas to make it better? 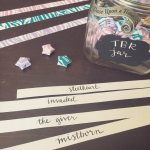 Heartbeat Weekly (55): I Revamped My TBR Jar! 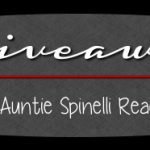 New on Auntie Spinelli Reads: Featured Blogger Interviews! Congratulations! The font is still Times New Roman for me. I like the design. Everything on the right is organized nicely. You might want to decrease the size of your photo, though. It is encroaching on the text a bit. Overall, I really like it!! Cute design. Congrats on switching over. I have a new computer and I don’t see any crazy fonts. I wonder if it only shows if you have that font downloaded on your computer.